I have also included a picture of someone with a name equal to Hillary’s: Lieutenant August Valentine Kautz. Lt. Kautz was a military man, born in Germany and buried in Arlington National Cemetery. If you Google him you will find that he fought Indian tribes around Puget Sound in the 1850’s. He was then sent east to fight in the Civil War. By the end of the war he was leading a regiment of black soldiers. After the war he spent more time fighting Indians on the New Mexico frontier, and died in Seattle in 1895. His would not be an unusual American life for the frontier days, were it not for his climb on Mt. Rainier. In 1857, during a lull in skirmishes with the Puget Sound tribes, Lt. Kautz and a few of his men set out to climb Mt. Rainier. They spent 7 days approaching the mountain through thick rain forest. As they reached the foot of one of the mountain’s many glaciers they ran out of food. They began climbing anyway. 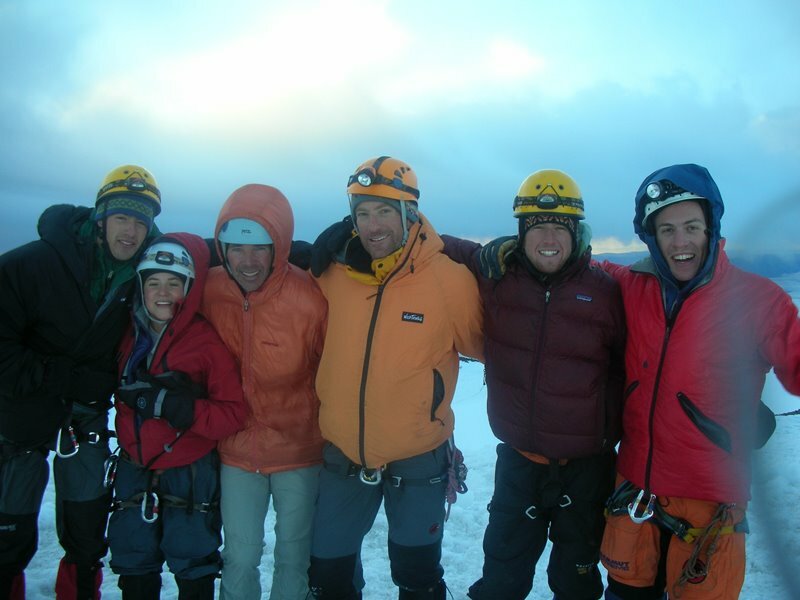 On July 15th, they climbed most of what is now considered a technical route. 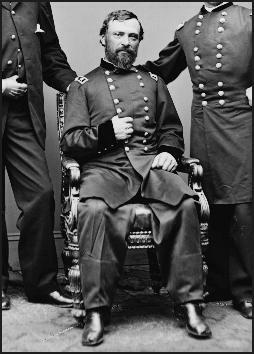 By late afternoon Kautz’s companions had turned back due to exhaustion. August continued on to within a few hundred vertical feet of the summit. By then it was after 5pm, and the weather was deteriorating. Anyone who has ever been alone on a mountain of any size late in the day under dark clouds can imagine how Kautz felt. What is harder to imagine is climbing a crevassed glacier and 40-degree snow slopes in soaked wool clothes and leather-soled U.S. Cavalry boots. The glacier August Valentine ascended is now named for him. It is a good moderate mountaineering route, and most parties climb it with ropes, crampons, ice axes and modern clothing. It was 1870 before two more Civil War veterans, also with excellent names, summited Rainier. Hazard Stevens and Philemon Van Trump climbed the mountain via the Gibraltar Route. August, Hazard, Philemon, and this season from the huts, Hillary Marlena.